Stop Feeding Your Baby Cereal! 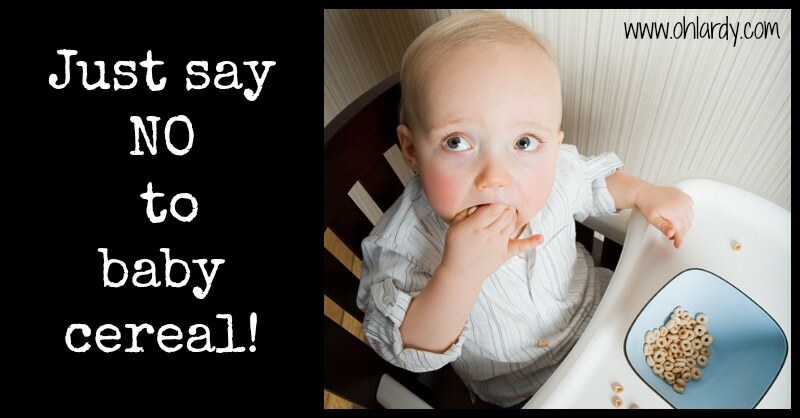 Home » All Articles » Stop Feeding Your Baby Cereal! Your baby is getting older, starting to develop an interest in solid foods. How exciting! While the American Academy of Pediatrics recommends a variety of foods for baby's first foods, what is one of the first traditional solid food recommended?? Rice, oat or wheat cereal or other pre-packaged baby cereal. And what is one of the common first finger foods for babies? Cheerios, Goldfish or some sort of teething cereal cookie. All of these are cereals that, guess what?, your baby can not properly digest yet! And yet, for some reason, this is standard nutritional advice for babies in the US. While we think of feeding babies cereals as ‘normal', it is not at all historically normal. The way baby food is marketed to parents is competely backward of how successful, traditional societies introduced solid foods to their babies. In traditional times, cereal grains as a baby's first solid food used to be unheard of. The few traditional societies that did feed their babies a gruel of grains, had a gruel is radically different from our pre-packaged rice cereals or Cheerio snacks. People in traditional cultures would make the grains more digestible for the baby and easier on their immature digestive systems by either pre-chewing the gruel for their babies or soaking the grains for 24 hours or more and mildly fermenting them. Why did traditional societies do this? It's always amazing to me, the more I learn about societies from 100s and 1000s of years ago and how they fed their people, how they knew what was good for them intuitively. They didn't have all of the science to explain why…they just knew. Why is it not a great idea to feed babies cereal grains as a first food? Babies produce a small amount of salivary amylase, an enzyme that helps digest grains. They produce almost no pancreatic amylase until after molars are developed. Most babies' digestive systems are not able to handle grains/cereal (especially wheat) until at least one year old at the earliest. In addition grains being undigestible for babies, grains also are not nutrient dense for babies. Feeding a baby grains is something they can't really use and is robbing them of nutrients they need to grow a healthy brain, nervous system and bone structure. If they can't digest the grains, the grains are taking the place of quality, nourishing foods that the baby could be digesting more easily. WHAT SHOULD A BABY EAT AS A FIRST FOOD? So….now what are you supposed to do? What should baby's first foods be? Nourishing Traditions suggests that babies first foods should be animal foods since the digestive system is better able to supply the appropriate enzymes for the digestions of fats and proteins. Since this is the case, a diet rich in bone broths, egg yolks, raw liver, butter, bananas, avocados, fish roe and cod liver oil are wonderful choices for the baby's first foods. If you'd like to know more about exactly to feed babies, I highly recommend the books Beautiful Babies and Nourishing Traditions Book for Baby and Child Care. 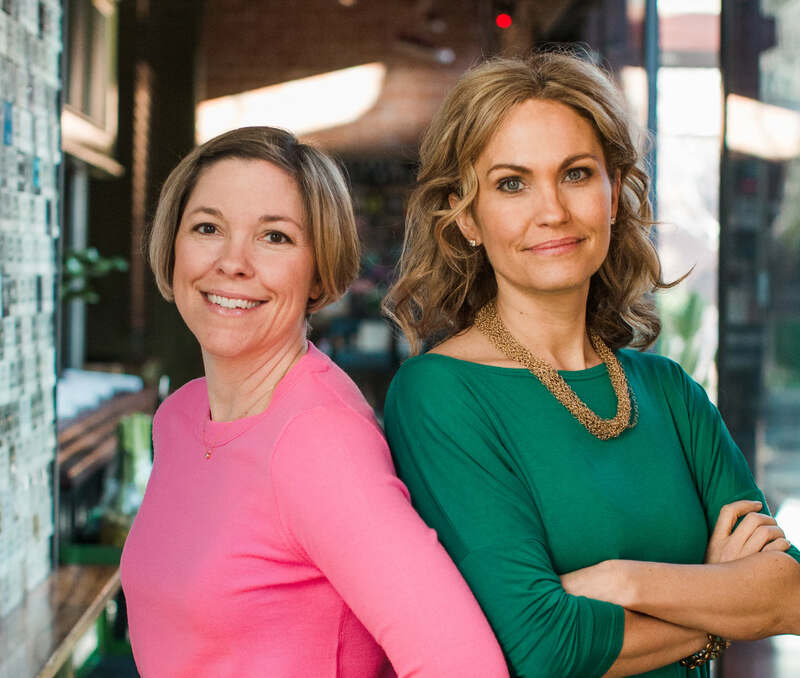 They are both full of a ton of great advice about using traditional wisdom to feed and care for your baby. This is very different than what we are taught in our society today! However, looking at the health of our society, I say we look back to traditional societies to see what worked for them because what we are doing now…isn't working out so well! When I first had my daughter, I struggled with what to feed her. I read so many contradictory things about what her early diet should be. I had grand plans of pureeing my own baby food, but didn't know whether to start with fruits or vegetables. I diligently bought the iron fortified rice cereal, recommended by our doctor, and mixed it with breast milk as her first ‘meal'. After 3 sessions, I knew the cereal was not for us. I quickly switched to mashed bananas, mashed avocado and store bought organic vegetable purees. I added meat purees early too, simply because I found she really liked them. I was unsure, however, if I was doing the ‘right' thing. She did snack on the usual Cheerios, puffed snacks and pastas. But mostly, I wanted her to eat food like we were eating and was happy to push the meats and vegetables on her. Having access to a books such as Beautiful Babies and Nourishing Traditions for Baby and Child Care would have been so helpful for me as a young mother. These resources not only lays out what you should be feeding your child, but give extensive research into WHY you should be choosing certain foods. So many young mothers are overwhelmed with their concern about doing everything they can to ensure their child grows up strong, healthy and happy. This book gives you the framework to help make that happen. As I continue to learn more about this topic, I can't help but feel a little guilty that I didn't have access to this knowledge when I needed it in my life! But, as a mother, I can't feel guilty. I can only take the new information I have learned and incorporate it into my life now….AND share this information with others! I hope you find this useful and helpful to your baby journey! So amazing how far we have come from real food. We should be feeding our children the realest (probably not a word), most nutrient dense food we can possibly find. Instead we feed them pure junk. I have eight children and have never really done the baby cereal thing. 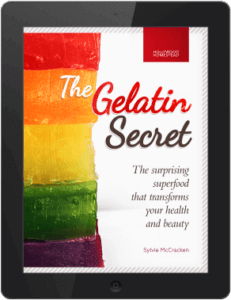 It seemed so counter-intuitive–and these was even before I was really aware of Traditional Foods. I researched it a bit recently for a friend and found that “Single Grain” rice cereal actually had GMO rice, GMO soy and GMO corn. So sad. *sigh* labeling….. Thanks for stopping by! It is sad and counter-intuitive. And, the ingredients that you just described are so disappointing. We need labeling because most people just don’t know. GMOs aren’t bad ya dingus. This article has given much clarity to what I experienced with our Daughter. Our Pediatrician told us to start giving her puffs at 6 months. She quickly developed FPIES when children start vomiting 2 hours after they’ve eaten and they continue to vomit until they become dehydrated. Our daughter had to go to the ER twice due to continuous vomiting (and turning blue!) and the doctors couldn’t explain why. I made the connection that both times we had fed her rice or oatmeal 2 hours prior but they told me that rice and oatmeal were nonallergenic and that was impossible. She had two more episodes (not needing to go to the ER thank goodness) before I completely stopped all foods and exclusively breastfed until 9 months when we tried fruits and vegetables. She outgrew all allergies by a year and has no allergies today, at 2 1/2. I am pregnant now and will NOT be giving my baby grains until at least 1 year. Thanks for commenting. That’s scary stuff that went on with your daughter! I am glad she is healthy now. Good luck with your pregnancy! Thanks for stopping by. What you describe is not an allergy. REread the article. If what it says is true then your baby was not allergic to the grains, but in fact unable to digest them, hence the vomiting. No, it’s true. It’s Food-Protein-Induced-Enterocolitis Syndrome. My baby has it. She IS able to digest most grains. She had rice & wheat before age 1 without the least problem. But one time when she was constipated (hadn’t gone in 2 or 3 days), I gave her oatmeal for the first time at breakfast (also prunes, but prunes don’t cause her any trouble; I’ve given her prunes & prune juice together & she’s still constipated; occasionally it’s relieved but with no apparent cause). Then she woke up in the middle of the next night throwing up an immense amount. Then all the next morning she had diarrhea, & screamed & writhed for much of the morning. I took her off all solid food & just nursed her, but the screaming & writhing continued for TWO WEEKS. She hasn’t had oats or this problem again since. Then I discovered what FPIES was. (The description says it can take up to 8 hrs from eating the food to vomiting, but I think that must be without constipation. This was more like 16 hrs.) The screaming & writhing for 2 wks couldn’t have been from prunes she’s normally fine with, or from any ordinary cause of throwing up or diarrhea. Her dr concurred, & even though she’s 13 mos old, hasn’t yet advised giving her oats again. Thank you so much for sharing! My son had that reaction twice after eating egg yolks. I had never heard of fpies until this post, but it describes my son to a T.
Thanks for this post!! It makes me feel so much better. I tend to feel so guilty, everytime other mommys say their babies eat cheese, yogurt, oatmeal and basically everything they eat by 12M. My baby is 10M and i didnt try to introduce any cereal until he was 9 months, he started fruits and veggies at 6 and half months. But when I tried oatmeal and he vomited like 4 times, the same when I tried yogurt they day he turned 10M (but he only vomited once), so the same that happened to your baby, vomited 2 hours after introducing these foods. his pediatrician immediately said food allergy/sensitivity. after these experiences we’re back to fruits and vegetables only and then at 12 months will try new food. Can his stomach just not be ready for these foods, since he has been breastfeeding since day 1 and breastmilk is easier to digest? I hope my LO has no food allergies. Your comment really gave me hope! So glad to hear your baby is allery-free now. I totally agree! That’s why my son’s first food will be avocados! No cereal for him! 🙂 Thanks for a great post. Thanks a lot! Yes, avocado is a great first food! Good luck!!! I too, wish that I would have had more information about real foods when my children were younger. I feel like I am trying to undo a lot of damage. I hope your post helps some new mother go down the right past. I breastfed all 4 of my kids and it just made no sense to feed them food out of a box… so when it came time to feed them food, at around 1 year of age, I gave them what we ate: vegetables, fruit… lots of soups made with fresh vegetables and meat. My babies never ate out of a jar. After a couple of months, they would eat rice and beans, or butternut squash, sweet potatoes and meat mashed together… hot dogs?? my kids have never had that as a baby!! Yuck!!! We weren’t always “perfect” .. they ate raisins, crackers and cookies on occasion…but that was after they were established eaters. Question, why did you wait until a year to introduce foods other than breast milk? When you say “traditional cultures” what do you mean? As an anthropologist, I will tell you that cultures don’t “do” anything. Culture, by definition, is a system of beliefs and values shared by people. Your argument would perhaps carry more weight if you would say what specific people fed their children a certain way based on their traditions or cultures. Was it the Chinese? Egyptians? The Cheyenne? When? And specifically why, especially when I assume you mean it was some time ago before “modern medicine”. Just offering some advice to help you make your argument more accurate, compelling and demonstrative of the actual research you should have done to make it. Thank you for stopping by. My post was summarizing information found in the two books I referenced, which are based on the teachings and research of Weston A. Price. If you’d like more details than those found in a simple blog post, feel free to give them a look. When I was a kid in Finland we were told about how “up to the nineteenth century”, my “culture” had grandmothers chew up grown up food and spit it into the mouth of babies to feed them, when their mothers were out on the farm working fields, in stead of at home nursing babies. I have to say, when I read the description in the text, my initial reaction was “ewww, that’s what ancient folks did in lieu of breastfeeding!” I guess I still have an opinion, since my upbringing had a radically different food culture from the American norm, and my culture used to think masticating food and spitting it into a baby’s mouth via a cow horn was the norm. Where I grew up, the norm is to slowly start introducing kids to vegetable and fruit purees, starting at 3 or 4 months of age, to get them used to the taste of solid foods. These are meals of one or two tablespoons of a new food, to start up the routine of meal times. Most moms nurse until the baby is 9-12 months, without having to be told to do so. Babies get grains in the form of gruel, that hasn’t been soaked for days, in stead, it’s usually more like instant oatmeal powder from the baby food aisle, where you add warm water, mix it into a gruel, and pop it in a bottle, or spoon feed. 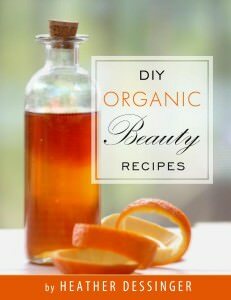 Over the next few months, you add more and more foodstuffs, and start offering a couple of meals a day of pureed solids. If a child is teething, you give them a big piece of crispy bread (Made from nothing but rye, water, and salt. I can find it in my local supermarket in the Seattle area, too), and they can spend a good couple of hours chewing on that thing. Things like carrots are good, too. Too big to choke on, but getting a kid used to texture and taste. Towards the end of a baby’s first year, they’ll slowly be transitioned off of breastmilk. And when they’re weaned, you’ve transition kids to eating smaller portions of what grownups eat, while supplementing with “toddler food” from the baby food aisle. Like those instant gruel mixes, that are a common breakfast staple. When I grew up, picky eaters were considered weird, and were picked on even by their peers at school. In the U.S. it appears to be more the norm to be picky. Heck, even TV ads propagate that idea. It’s all about “your kids won’t have a clue they’re eating/drinking a vegetable, too!” in stead of just advertising their product as a pasta sauce with yummy veggies, or juice with carrots in it, too. Kids where I grew up, are taught to use utensils (yes, even knives, although toddlers’ utensil sets come with blunt knives that mostly just teach the motor skills) properly from an early age, yesterday at a restaurant, I saw about ten year old kids still eating with their fingers, off the finger food only kids’ menu, off of plastic plates, drinking from plastic cups with lids, and generally being coddled. My husband and me have compared notes on what we were taught to eat as kids in school, and my upbringing emphasized vegetables, fish, and whole grain bread, which I still enjoy among my favorite foods. His favorite foods are still nuggets, pizza rolls, burgers, and tacos. That’s telling. When I look at the food culture, I do see why European kids have table manners from an early age, while American kids are dependent on how, when, and if their parents decide to teach them. Food allergies feel less prevalent where I grew up. That’s why I thought people are crazy for introducing food one ingredient at a time, with the phone ready to call 911 in case their kid gets symptoms. I thought I didn’t have any food allergies, until I was exposed to American processed foodstuffs and additives that are banned in Europe. A brand that’s safe in Europe, isn’t in the U.S. because it may cause a product to cost a few cents more to produce per unit to put natural ingredients into them. Moving stateside turned me into a label nazi. I read every label before deciding to buy. Penny recently posted…Shout out to my visitors, you’re a diverse bunch! Yes, you are right, we assume kids are picky in the US. I think it ends up being a self-fulfilling prophecy. We assume they are picky, so we treat them as picky eaters, catering to their every desire. We were at a friend’s house recently where her 2 year old is in a ‘pancake phase’ and will only eat pancakes…is picky about everything else. I tried to hide my disgust. Yes, label reading is the KEY! It is one extra step but so vitally important!!! It is interesting your comment about using proper utensils and table manners. My daughter goes to a Montessori school and they are taught this right away (age 3 or earlier). She has always used proper glassware, forks, etc. and they work on proper table manners and proper table conversation with their peers every day. We have really forgotten a lot of important lessons regarding food and food culture in America. I really appreciate your wonderful comments!! Thank you! I agree with your response completely. What culture are we following? Thanks for commenting. Liver is a filter not a storage system for toxins. In regards to providing research, I am summarizing information found in the books I reference. 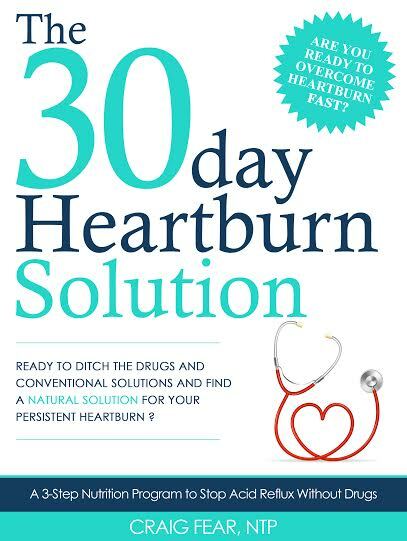 If you’d like to see those, I highly recommend checking out Kristen’s book. It is highly referenced and researched. This blog is very aligned with the studies and teachings of Weston A Price. 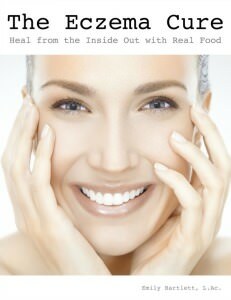 For more information on liver, check out http://www.westonaprice.org/health-topics/the-liver-files/. Also in regards to infant cereal helping children learn to swallow, they can learn to swallow as well as be sated with numerous ‘mushed’ foods, not just cereal. 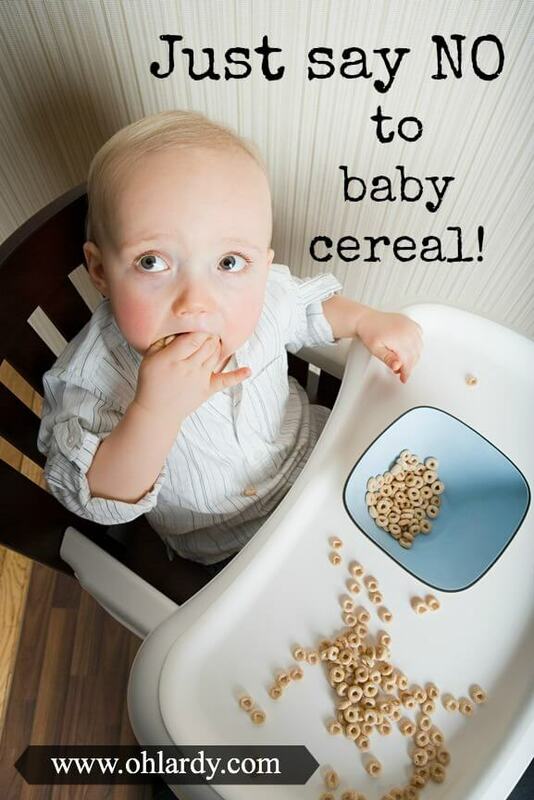 Babies were learning to swallow well before the introduction of baby cereals. Thanks Tracy for giving some new moms reading this what I feel is the correct information. I know my daughter was feed cereal from an early age. Now they have the single grain Rice and my grandbaby is being feed this and she digests it just fine. She only gets it at night for now to help her not wake up starving every hour and 1/2. This is a WONDERFUL post. I love it. 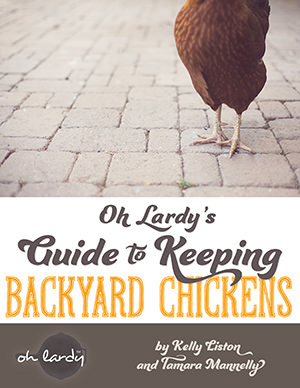 Thanks for linking up and congratulations on being featured this week! Be sure to check it out and link up again if you’d like! Thanks for the comment! Avoiding cholesterol for a baby would not be a good thing (provided the cholesterol is coming from quality, whole foods) as fat and cholesterol are important for the brain development. I have read that 50% of the calories in breast milk comes from saturated fat. The author doesn’t necessarily insist that you wait until 6 months to start feeding solids, that is simply a general guideline, one that is pretty standard. But she recommends Baby-led solids…so when the baby is ready start exploring with solids. Also, if the baby’s gut is in proper condition (with plenty of good bacteria), getting rid of any residual toxins that could possibly be left in the liver (or in any foods) would be easy for the body to handle. The New Yorker article is interesting, thank you for sharing! Yes, there is plenty of research now that shows that exposing babies/toddlers to a variety of foods may help to prevent allergies (vs withholding those foods). Her main argument for waiting on the grains is that babies can not properly DIGEST grains since they do not produce enough salivary amylase to break it down. Her book is very much in line with the research of Weston A. Price….It’s not for everyone but I find it fascinating! Most mothers are introducing solid foods to their babies too soon. That’s according to a study conducted by FDA and CDC and published in the Journal of Pediatrics this month. All of these are cereals that, guess what!, your baby can not properly digest yet! And yet, for some reason, this is standard nutritional advice for babies in the US. I am all about the traditional way of eating! I attempted feeding my little one soft boiled egg yolks when she was 5, 6, and then 7 months old and each time she threw up and it got worse each time. Finally I made the connection. So I am waiting a while until I try again. She is now 11 months old. So I am disheartened and discouraged when everything I read about WAPF says eggs are the best first food. I would totally be feeding her eggs if she could handle it. Her main food right now is still breast milk and in between I give her organic sliced turkey meat and turkey bacon and also oatmeal that I soak overnight and add butter and real salt. Is this a good choice? I need some validation and/or direction. Thank you for what you are doing. I am on my way to get the book! Good idea to read your child and wait to try again. In Kristen’s book she suggests soaked oatmeal (butter is always a good add), cooked/stewed veggies and meat, cheeses, seafoods, etc. There are a lot of options and recipes in her book! I wholeheartedly agree with this post. I confess that I do give my little one the organic rice puffs every now and then. We are doing baby-led weaning and he really (REALLY) likes picking things up with his fingers and feeding himself… me feeding him – not so much. What is a good nutrient-dense finger food? I’ve done things like cooked green beans, carrot chunks, etc., but they are too slippery for him to pick up well. He likes the rice puffs because they are dry and easy to get ahold of in his little fingers. Suggestions much appreciated! That is tricky! Yes, babies do love picking up foods themselves. And, with more practice, those slippery foods are helping him get stronger dexterity! 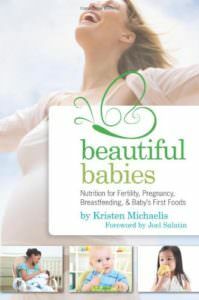 Kristen has some suggestions in her book above and Nourishing Traditions for Baby and Child would have many more (http://amzn.to/10FxbZO) I do not know the age of your son and I am not a nutritionist, however, if it were my child, I would try bananas, avocados, egg yolks, pieces of pastured liver (cooked), cheese cubes, homemade grain free muffins, pastured butter, some yummy homemade crackers (have to search for grain free ones…here’s one with quinoa that would be good after 12 months…http://www.scratchmommy.com/cheesy-quinoa-crackers/). (crackers and muffins with coconut flour). Good luck! Hope that helped a little! What are your thoughts on pediatricians recommending rice cereal for things like acid reflux? So many parents have said they gave cereal as young as 6 weeks to combat acid reflux and it’s even in some formulas. Giving grains, something that can’t be properly digested, to combat digestive issues? I think the trouble with acid reflux is that most ‘treatments’…be it meds or recommendation of rice cereal to calm the stomach…do not try to find the root of the problem and only tackle the symptoms. (isn’t that true with much of medicine these days). 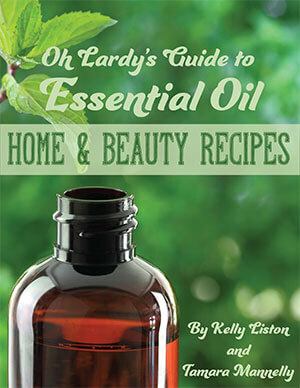 There may be more information on that in Kristen’s book or in Sally Fallon’s new Nourishing Traditions for Baby book. Babies with acid reflux respond well to chiropractic adjustments and a lot of the time those type of symptoms resolve themselves when the nerves are working properly. Good point! My daughter was adjusted at 4 days old…I like to think that helped! It does the same thing as milk would for heartburn… The milk gives your stomach a thin coat of lining to react and calm down the acid in your stomach, so that the acids do not come up to the throat. I.E. heartburn. My son has had cheerios and has had no problems with them. I did stop the baby rice oatmeal/cereal but he loves his cheerios. He does get other food of course and mostly gets the cheerios as a snack or a quick breakfast if we are going somewhere. I have noticed that it is popular for real food bloggers to state that pancreatic amylase doesn’t start until after molars are in. Nobody cites any sources on this though. Could you tell me where that idea came from? My daughter is 11 months old now and she has had no grains or sugar at all yet. We were planning to wait until her first birthday, and felt pretty good about having waited this long. If the pancreatic amylase/molar connection is legit, maybe we should be waiting longer. I did also see another (non scholarly) source that said it reached adult levels by 9 months…but nothing mentions teeth at all, except the real food blog articles (none of which cite any sources for this item). I have heard that it is best to not delay grains too long because it can actually cause allergies if you wait. Do you have any ideas about that? Also I want to do Baby Led Weaning but I would like to give my baby egg yolks and liver. Is there a way he can feed himself those foods? There are different theories on that. Kristen’s theory (using principles of the weston a price foundation and other research) suggests that grains are so harmful to the digestive tract since they can not be physically digested by babies. Therefore should not be first foods. A soft boiled egg yolk could be finger food for baby. Would be messy but what isn’t :). I know some people grate frozen liver on it. Baby could lick that off his fingers. My toddler has eaten waaaay too many grains since he started solids. I had no idea that the phytic acid could cause tooth decay and of the other negative effects of grains. He’s almost 2 and his enamel is thin on the edges and his teeth are very crooked. I’ve been learning more about the benefits of a Weston A. Price diet and am trying to learn how to nutritionally support his little system without the grains. That being said, do the books you mentioned contain finger food and toddler friendly recipes? We were vegan for awhile, so now I can’t get him to eat meat, he doesn’t like the texture apparently. Also, is there a less expensive alternative to almond flour? It’s $10 for a small bag which is hard for us to afford. 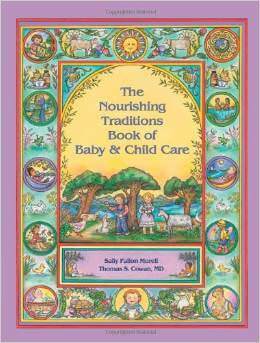 When I first read Nourishing Traditions (and its companion for childcare), I was determined to put all of the suggestions into practice. And then: my baby threw up after I gave her egg yokes- 3 times (spaced a few months apart), she still gets red splotches around her mouth when I give them to her; in the winter, good pasture-raised chicken livers are near impossible to obtain where we live (don’t have a deep freezer); baby hates beef liver; etc…. I gave myself a well-deserved break from all of it. I think these are great suggestions but don’t beat yourself up if you’re not doing everything ‘perfectly’ according to Ms. Fallon and the rest. You may want to speak with a pediatrician about your daughter’s reaction to eggs and get an epi-pen just in case. Sometimes mild reactions are precursors to anaphylactic ones. I say this as a mother who’s been to the emergency twice with an egg-allergic little boy. gah, I just realized how long ago her comment was. Oh well. I’m honestly not so sure people had it right years ago, either, since our life expectancy has far exceeded theirs and their babies they raised on this meal plan. Most reasons why the life expectancy is higher now, is due to the medical field and the advancement of healthy living. Not all of it lies on the food content. Some yes, but not all. i started my baby on rice cereal as that was what everyone was doing and suggesting, tried it and stopped it after 3 meals. She was constipated on it and it just didn’t taste like anything! Have been giving her home made textured purees of meat, veggies and fruit and she’s lapping it all up! My baby just makes food seem so delicious the way she eats it. I just read you article and about half of the comments. I want to commend you on your professionalism on replying to the people who disagree with you. You have a wonderful approach at stating what you have discovered. Kudos! One of the main functions of the liver is to filter the blood: meaning it is chock full of toxins. Liver is the last thing I would feed my child! 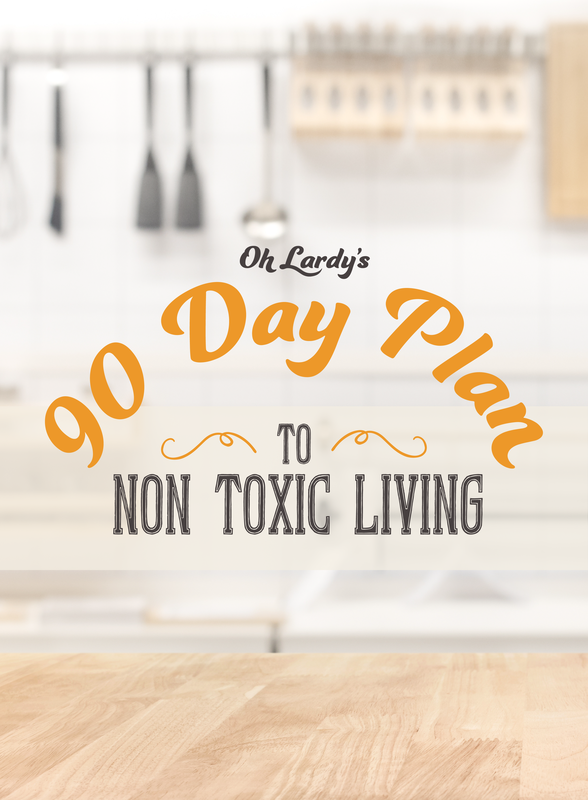 Actually, toxins are not STORED in the liver at all. The liver filters, yes, but does not store. Toxins are generally excreted or stored in the fat, which is why it is important to choose quality raised animals for a less toxin filled fat content. Tamara Mannelly recently posted…Donate to Charity Water this Holiday Season! As a parent of two children, I have just a few comments..
1. I am an American and yes back in the days chewing up food and then giving to the child is something too that many families have done. Not in my time, but before me. 2. I disagree with your way of thinking when it comes to grains. Both my children have taken in grains since they were infants. Have you ever considered Genetic heredity.?. I.E. Constipation due to parents and not foods. 3. Have always given my children gains along with the other beneficial foods of fruits and vegetables. Stating your child with a dentist before the age of 1, if and when they have most teeth is something that helps in the aid of heath. I feel it has to do with have involed the parent/s… They just need to do more research of the foods and products out there. ps. I would never give my child something I would never eat. Would you eat dog food yourself? I love the article about baby cereal. I have tried following the WPF first foods and fed our adopted son egg yolk and 4 months and he LOVED it! He is now almost 9 months and has yet to have any grains and very little sugar (except for a morsel or two of homemade baked goods). I am holding off giving my son any grains until at least a year old. He also eats the WPF homemade formula 🙂 and is a wonderfully advanced, extremely healthy and very happy boy (non- vaxed)who has not been sick since he was born. Interesting info! I see many references to “Kristen’s book” in the comments but I can’t seem to find any mention of the title of this book or a link to it in the article. Am I missing something? 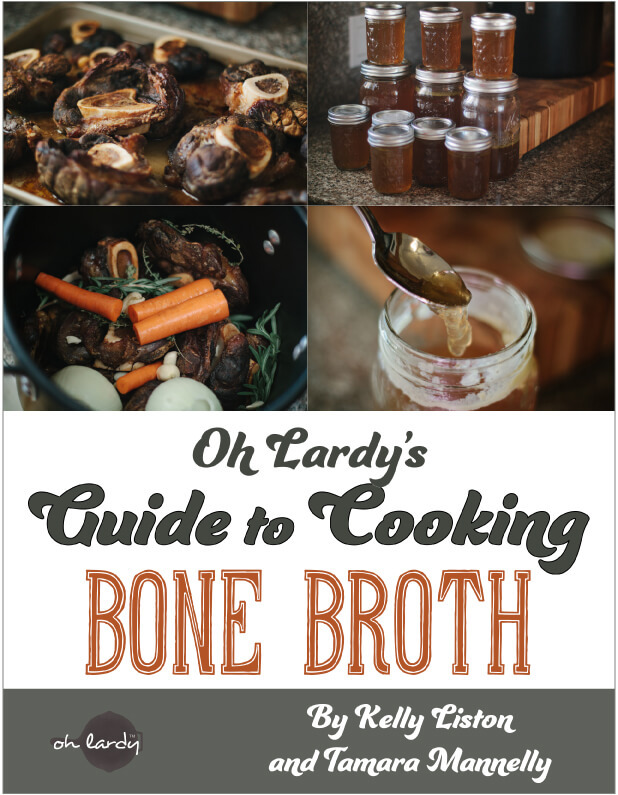 Great post – intrigued to see the recipes in the book. My baby is 7 months and loves to eat! Avacado is the usual base, sweet potatoes, butternut squash, peas etc… I do get the organic brown rice and mix it with veggies from time to time. Is it too soon for eggs and meat though? Look forward to more of your posts. Mine will be 4 months tomorrow. I’m looking for suggestions. Thank you for article. My baby will be 4 months tomorrow (1-10-14), and we will definitely be skipping the rice cereal. I bought the book you recommended, and am looking forward to reading it and using it as a tool in the kitchen. I think you will really enjoy the book! Good luck to you!!! You may have addressed this in the follow up comments but I stopped reading them but what would a baby with severe reflux be recommended. Our doctor wants us to start introducing cereal to our 3 month old because he is in need of help gaining weight. (He’s just over 10lbs). Thanks!! Found it scrolling back up! Sorry!!!! Just another reason I love our pediatrician and feel lucky to have found her. She never suggested grains or puffs or cereals. She said to start slowly but really to just give him what we are eating and boy has that made life easier. I just puree or mash up whatever veggie we are eating that night, and have also started cooking them in my homemade broth. I am definitely going to check out the book you recommend. I need to look into it more, but I was debating giving him Quinoa. Is it more the gluten containing grains that cause a problem? Thanks for the post! Hello! I loved this article and found it very informative. I have just recently began the primitive/real food diet and have been busy researching the best foods to begin my baby on in a few months when she begins solids. I am curious however how quinoa is classified. I recently stumbled across organic/GMO free baby quinoa cereal and thought about getting some, but I”m not sure if that’s a grain also? I figured by the time baby is old enough to have grains, she should be able to actually eat cooked quinoa and wouldn’t necessarily need it in a powdered form unless I was trying to thicken up something or mix it into a breakfast concoction. I was hoping someone could clarify if this would be safe to start before baby’s molars come in? I wish I’d known all of this nine years ago when my daughter was born. I thought I was pretty educated at the time. I read Dr. Sears, practiced attachment parenting, and breastfed her until she self-weaned at 2. But we followed conventional “wisdom” about giving her cereals and processed baby foods at an early age along with breast milk. She has been plagued with enlarged colon and chronic constipation since infancy, even as a breastfed baby. You don’t realize how important poop is until it doesn’t happen. We’ve spent many agonizing hours dealing with a frightened screaming child trying to pass hard enlarged stool, praying and in tears ourselves. She has been seeing a pediatric gastroenterologist and been on Miralax therapy since preschool. He insists Miralax is harmless (“one molecule away from a sugar”) but that doesn’t make me feel better about it. We are slowly weaning her off the Miralax, have drastically cut the amount of grain/sugar/processed dairy in her diet, and are increasing the number of fresh fruits and vegetables she eats. She has started to take ownership of her body and her diet, and will often choose to eat salad and vegetables without prompting because she feels better when she does. Just yesterday she left most of her lasagna on her plate but ate green beans and salad, and she was satisfied drinking fresh well water with her dinner (although Grandmother said I was depriving her by not allowing her to have a soft drink “like a normal kid”). We are trying to move in the right direction. But I wish we could have spared her the agony of dealing with this bowel issue. I believe if I’d known the dangers of processed grains, soy, and sugars back then, my baby would be a lot better off today. If there was ever any doubt that I loved you ladies (ok, let’s face it, there wasn’t.) then it’s gone now! I love this. Eating real food should start at the very beginning, and reality check please, infant cereal is NOT REAL FOOD. Thank you so much for sharing this. Great article in regards to skipping out in the grains initially — however, I have to STRONGLY disagree with feeding them animal based products, especially in the first year. It is MUCH better on a babies digestive tract to consume fruits (bananas, avocados, persimmons, etc.) and some vegetables in addition to breast-milk the first year than to consume butter or liver as stated. Consuming dairy is generally not going to provide them much benefit (the protein and fat ratio in cows milk is FAR from the ratio in human milk that is actually meant for us), especially with that high salt content. Consuming egg yolks alone is far more cholesterol than they need in the first few years of development (and their ability to utilize and lyse cholesterol molecules is even slower in the first few years!) and consuming animal flesh isn’t as easy to break down as nutrients, proteins, fats, etc. from other sources. Having a diet rich in healthy fats and simple sugars from plant sources is going to be ideal for both their brain development, gut flora, and in general. There is nothing they can’t get (calcium, carbohydrates, vitamins, proteins, fats, etc.) 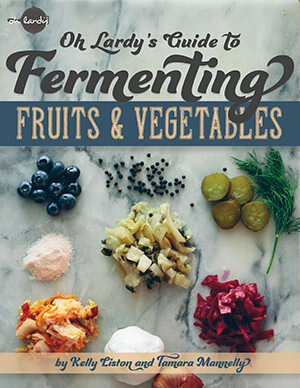 from fruits and vegetables in the first few years, and that’s more ideal for them every time. Once you introduce meats and dairy, foods that are also generally going to have a higher risk of more bacterial exposure, you’re introducing bacterial strains to their GI tract that they’re not ready for. Great article, just wanted to provide some feedback since this is what I actually study. I know this was posted years ago, but someone just posted this to Pinterest. This is the biggest load of bs. Who the heck feeds their children fish roe and liver? My children were breastfed and, gasp, formula fed!! They ate out of jars unlike your kids (some of us work full time ) and they turned out fine. And they ate hot dogs!! One is eating Reese’s cups now and watching Elmo, I’m such a crappy mom!!! OMG your kids ate crackers????? And RAISINS?? Lol ok lady….This is the most smug comment I’ve ever read!!! Raw liver? Egg yolk? Butter? You are definitely so lost…. Did you know the function of the liver is to be a sort of filter of all the toxins or chemicals? I know it’s loaded in iron but green leafs and all kinds of bean as well as they are a lot more healthy than… liver? Did you know that egg yolks is what increases cholesterol levels so babies should not have yolks until the first year and no more than 2 per week (because the egg in other foods like breads or cakes also count)? 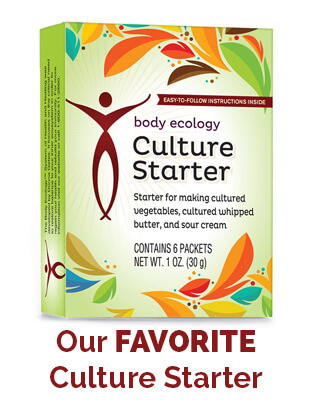 Did you know that butter has tons of trans fat so you should rather choose canola or rice oil…? Grains and dairies are not bad at all, they are loaded with super important nutrients, but of course not made for everyone as there are people/babies with grain allergies or lactose intolerance. And please do not go back to take a look on “traditional societies” as you said, because their mistakes are the reason of all the modern health issues, from depression to obesity. Thank you for commenting but you may want to research some of your facts. Butter does not contain trans fats. The liver does act as a filter but not a storage center for toxins, and might be one of the most nutrient dense foods available. And I am pretty sure most of the modern health issues stem from (among other things) the heavy influx of processed foods, added sugar, artificial ingredients, etc. And it is becoming more common knowledge know that eggs are not associated with an increase in serum cholesterol. Anyone can post anything on the internet these days. Just curious, where do you get your information from? Are you a doctor? Or a medical professional? Not trying to argue, but I’d like to know what your qualifications are before I start taking advice from some person on the Internet who claims to know what my baby shouldn’t be eating. If you read The article and all above comments, she has said over and over again that she is putting this information out based on two books that she has read. If you want trusted references, then read the books she has mentioned. She is simply summarizing the knowledge she gained from those books.